Rooms With A View is a full-service design showroom and authorized Schluter Dealer, showcasing and specializing in tile and natural stone. Our various other offerings include hardwood, cork, plumbing fixtures, countertops, cabinet hardware and a wide array of interior finish materials. Rooms With A View is the destination of choice for custom home builders and discerning homeowners who are looking for interior design of exceptional quality using the finest materials installed to exacting standards by skilled craftsmen. We are a key resource for those who aspire to create architectural interiors of beauty and distinction. Customers of Rooms With A View know they can rely on our knowledgeable staff for inspiring and helpful design guidance. They travel to our fully stocked showroom because it provides an inspirational setting in which to explore the possibilities of fine tile, stone, glass, and exotic hardwoods imported from the best suppliers in Europe, Asia, and South America. And they consistently tell us how pleased they are with the meticulous installations by Rooms With A View craftsmen. High-end contractors choose to work with Rooms With A View because we share their professional standards of excellence, and because our experienced staff knows how to service a complex and demanding construction project. We stand by our mission statement which says “At Rooms With A View, we believe the principles of good design, fine craftsmanship and superior service are literally set in stone.” Our Mission: We help our clients create rooms of lasting beauty that provide many years of delight and comfort. At Rooms With A View, we believe the principles of good design, fine craftsmanship and superior service are literally set in stone. Fabrication and installation of natural and engineered stones. South Middlesex's Leading Showroom for Quality Tile & Stone! Receive a FREE Stainless Steel Sink! Since 1983, Installations Plus, Inc. has been transforming spaces with custom tile, marble and granite installations – plus a lot more! Our skilled team of installers work on both new and remodeling projects, displaying quality workmanship in both residential and commercial settings. With years of experience working with custom homebuilders, designers, and contractors, we specialize in kitchen, bath, foyer, sunroom, and patio projects involving ceramic, glass, and quarry tiles, as well as slate and marble. We invite you to explore our website at <a rel="nofollow" target="_blank" href="http://www.InstallPlusInc.com">http://www.InstallPlusInc.com</a> to learn about our amazing work and hear from our satisfied clientele. Galaxy Granite is your New England area fabricator and installer of premium granite, marble, quartz, and other natural stones. We specialize in creating custom stone products for residential and commercial kitchen counter tops, vanity tops, fireplace surrounds, and more. Founded in 2003, our team strives to select only top quality materials for your projects and to educate our clients every step of the way throughout their projects; standing by them well after installations are complete. Art of Tile & Stone is a showroom specialized in unique and innovative Tile and Countertop surfaces. We select and represent the most sought after brands in Tile Design as well as very unique artisan made products that you won't find anywhere else. As one of the finest showrooms in the Boston area, Art of Tile & Stone has surpassed clients expectations for years and our reputation for exquisite materials and expert design counseling has extended well into New England. Come see for yourself and experience what makes Art of Tile & Stone Boston's best designers exclusive showroom. We at EXPRESS MARBLE & GRANITE INC have years of experience in the industry, we have catered to the diverse needs of the clients by supplying and installing high quality granite and Marble Countertops in MA,NH,RI. We are known for providing excellent customer service and fast turnaround time. We can cater to the diverse needs of both residential and commercial granite countertops installations. Our company provides granite, marble & Engendering countertops, backsplashes, bathrooms, kitchens, Fireplace, Tub Surrounding etc. Services with high quality granite countertops at competitive prices. You can get the countertops you dreamt of. We will take care of everything and help you get complete peace of mind. Our expert professionals create a unique style statement by delivering the right granite countertops according to your requirements. 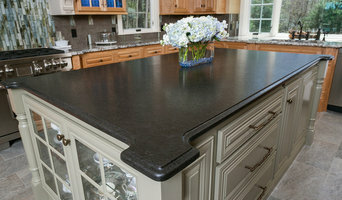 You can be assured that you will be getting durable and timeless quality of Granite Kitchen Countertops. Being a leading granite countertops fabricator and installer in Massachusetts, the professionals at Express Marble & Granite have installed thousands of granite countertops in homes and businesses across the region. 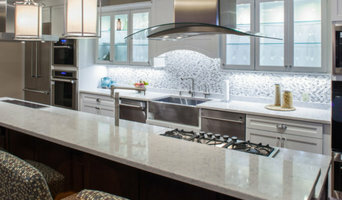 We are a reputed and experienced Granite Countertops Company installing the best natural stone or solid surface countertops in your bathroom or kitchen. We have a reputation of being fast and efficient. Our expert professionals can help you choose the best Stones matching your existing interiors. Contact us today to know how we can help to add beauty and elegance to your home or business. 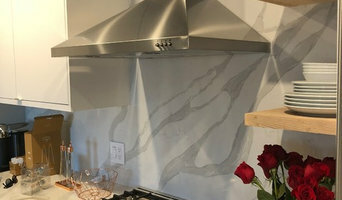 In addition to basic surfaces, many Framingham, MA tile, stone and countertop contractors can create and install murals and mosaics, as well as add decorative edge treatments to countertops. They also repair or replace surfaces in the event of chips, cracks, stains or other damage. Many tile, stone and countertop professionals also install shower pans, radiant-heat flooring systems and other common components of surfacing jobs, often working in tandem with Framingham, MA plumbers or other professionals. Here are some related professionals and vendors to complement the work of tile, stone & countertops: Interior Designers & Decorators, Architects & Building Designers, General Contractors, Kitchen & Bath Designers, Design-Build Firms. Find a tile, stone and countertop contractor on Houzz. Narrow your search in the Professionals section of the website to Framingham, MA tile, stone and countertops. 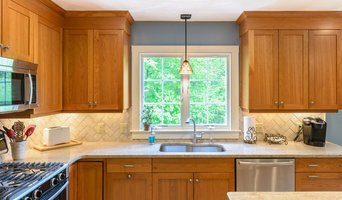 You can also look through Framingham, MA photos to find tile, stone and countertop projects you like, then contact the contractor who worked on it.